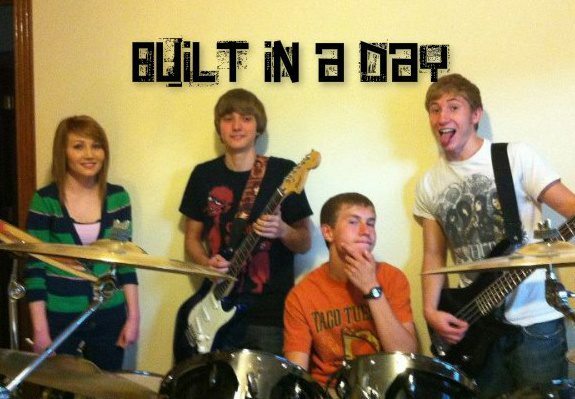 Built In A Day is an alternative/pop punk band from the Springfield Illinois area. We formed in December of 2011. In the time since then, we have played shows at Pawnee Prairie Days, The Vine, Rochester Battle of the Bands, and The Rock Shop. We have also performed several acoustic shows at The Walnut Street Winery and Divernon Days.